The gangster film is a huge part of popular culture. Some of the most quoted phrases of all time come from the likes of Brian De Palma’s Scarface, “say hello to my little friend!”, and perhaps from Francis Ford Coppola’s The Godfather, “I'll make him an offer he can't refuse” – something of a testament to their popularity and influential nature. Martin Scorsese’s Goodfellas, of 1990, was probably the first to depict this underworld of violence and corruption as it really was. His realism is what instantly blasted this film into the upper echelon of fine cinema. The operatic beauty of The Godfather was replaced with raw, violent energy. These two films that are constantly compared couldn’t be further away from each other. Goodfellas was a landmark in modern American cinema, and has since come to be known as one of the greatest films of all time. We follow the life of Henry Hill (Ray Liotta) as he moves his way through the hierarchy of the mob world, supported by mentor Jimmy Conway (Robert De Niro) and childhood friend Tommy DeVito (Joe Pesci). The three move through the ‘corporate’-like nature of mafia, stealing, trafficking and generally enjoying themselves. Scorsese’s cast deliver four of the most outstanding performances in recent history. 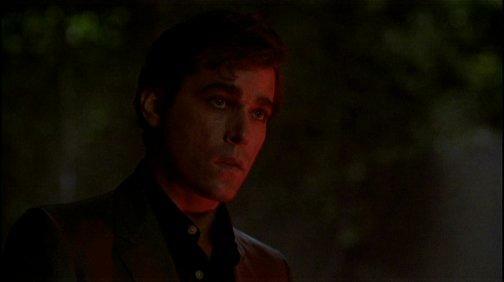 Ray Liotta, a relative unknown at the time, develops the persona of Henry Hill remarkably. This is a character who changes dramatically throughout the film, always with Liotta moving Henry with effortless ease. 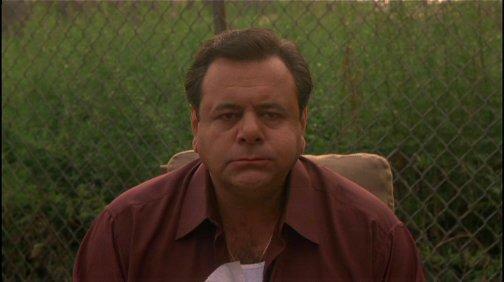 Robert De Niro is at his usual best, and Paul Sorvino boasts an exceptionally understated performance as the local boss, Paul Cicero. The one person from Goodfellas that no one will forget is Tommy, played by Joe Pesci – the fast talking, short tempered maniac. He successfully proves that mafia life, while terrifying and violent, can be an absolute crack-up. Young Henry Hill out lighting fires. As Henry moves through the mob, he meets Karen (Lorraine Bracco). After a shaky first date, the two end up getting married, resulting in an incredible wedding – alongside Henry’s ‘final day’ as one of the most memorable scenes in the film. 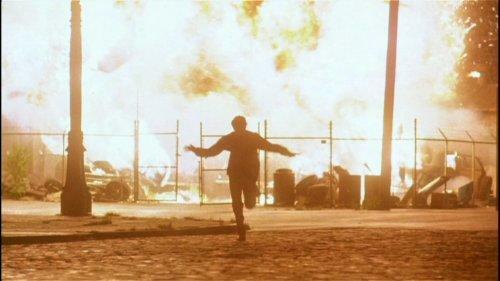 Scorsese uses a variety of fantastic musical numbers to enrich each scene, adding to the emotional element as well as providing a fantastic, authentic backdrop to the entire film. Scorsese is the absolute master of the film soundtrack, using the most ironically appropriate pieces of music to raise a scene from excellent to extraordinary. Quentin Tarantino, who often praises Scorsese’s work, has clearly taken a big lesson from Scorsese in terms of matching the sound with the screen, and bears equally as successful results. 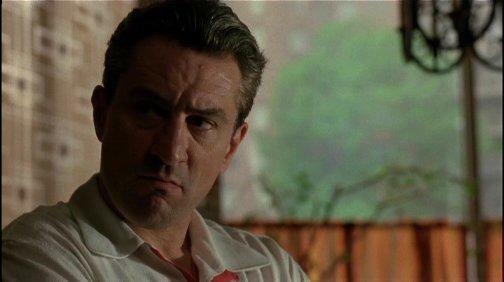 During Goodfellas, there is not one shot, not one frame that feels out of the control of the director. Every single detailed nuance is done for a reason, which in turn adds incredible depth to the film. Many wonder why Martin Scorsese is so highly acclaimed, which is natural. His name always seems to appear among the high ranks of American film directors. And it is in the finite detail of all his films that his talent and craftsmanship shines. I remember hating films that manipulated the way I thought, and the emotions I developed. However it was only when introduced to Scorsese’s films when I realised that what I hated was my knowledge of the manipulation. In the beginning of Goodfellas, I and everyone I’m sure, feels as if the life of the mob is the best thing ever. To quote Henry at merely 13, ‘being someone’ in the mob was “better than being President.” As the film develops, and as Henry’s downfall begins, we all realise that the mob is a terrible, violent venture no one should brave. We’re so subtly toyed with, it’s almost scary. Scorsese is truly the Leni Riefenstahl of modern America. He uses subtle nuance to manipulate his audience, holding their every hand while leading them down a path of destruction. At the same time, he draws his audience to think and be actively engaged in what’s on screen. He doesn’t specifically tell is what to think, or particularly how to feel. But we know how he feels, and it echoes through the screen. Lorraine Bracco (Karen in Goodfellas) comments that “in Marty’s films there's a real intensity, which is very similar to Marty,” highlighting just how personal each of Scorsese’s films are, and how his feelings and nature shine through his films. He’s a director who simultaneously asks us to think, and shows us what to think, without either of them being a conscious trigger. It’s almost Orwellian in nature. Ray Liotta staring into a red oblivion. Goodfellas heralded something of a revolution in film editing, at the hands of now Oscar winner Thelma Schoonmaker. The commonly dubbed ‘MTV-editing’ saw its roots in the beautiful combination of jump-cuts and quick edits found in Goodfellas. In ‘Getting Made: The Making of Goodfellas’ (a DVD extra feature) Schoonmaker comments on how experimental her editing techniques were, and just how supportive and eager Scorsese was in the editing room. This was a ‘new’ movie, that the entire cast and crew will testify to. It’s more than another gangster movie, and its groundbreaking editing work has secured Goodfellas’ place in cinema history. Martin Scorsese inspires his audience to just love cinema. Antoine Fuqua (director of Training Day) sums Goodfellas up beautifully when saying, “it breaks all the rules, which is what makes it so good.” This is certainly one of the greatest films ever created. All hyperbole aside, buy it now. The first release of Goodfellas was split over two sides of a DVD, and thankfully Warner have redone the transfer to fit on the one side of a dual layer disc. This release is a marked improvement over the old barebones flipper, but is still not perfect. The special edition also sports a 16:9 enhanced widescreen transfer, much to the delight of those stuck with the full frame original. The entire film is very dark, but seems very natural. All skin tones look perfectly accurate, as all colours look muted but authentic. There is no vibrant colour to be seen at all, as the entire transfer has a very soft and muted look to it. Everything remains fairly detailed, but not perfectly crisp. Some minor grain holds the detail levels down slightly. Black levels are solid, but won’t blend in with the natural black of your monitor, as they appear slightly brown rather than deep black. However, this fits with the authentic look of the film. Joe Pesci thought this was a western? There is a major flaw, in that of a film artefact at 73:33 running for approximately five seconds, and is quite distracting. A thin vertical line cuts the image in half while Robert De Niro tries to speak. It was present in the original release, but unfortunately hasn’t been removed. Apart from this scratch (that is probably in the original print), there are no other glaring issues with the transfer. Some minor aliasing (on stuff like blinds and wallpaper) is present, but is rarely distracting. Apart from the scratch in the middle of the film, this is quite a reasonable transfer. Some may be disappointed with the muted, downplayed look – but it’s obvious that Scorsese wanted it that way. We’re given the same English Dolby Digital 5.1 soundtrack present on the original release, which apart from the limited surround output, is fantastic. Considering this film contains a lot of dialogue, including voiceover from Liotta and Bracco, the main focus would be on presenting clear, audible dialogue. 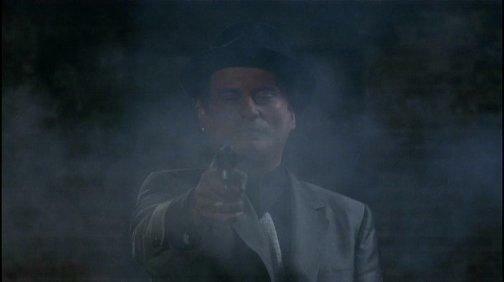 Apart from the intentionally muffled Joe Pesci, everyone seems to speak clearly and is very easily understood. Speech is primarily anchored in the centre channel, with the voiceover also coming through the front left and right, as well as the sub. 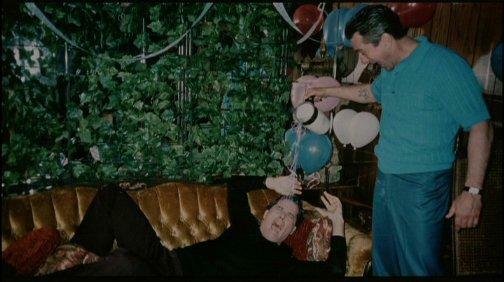 Robert De Niro hot off the set of The Godfather Pt II. Use of the surrounds is very limited. Only on occasion, whether it be for an echo or adding significant ambience (usually only music), do the left and right rears come to life. Even then, it’s quite subtle and could easily be missed. The sub is used frequently and to great effect, rounding out musical numbers and low voices, as well as adding that oomph to explosions and the like. There is an excellent package of extra features here, that will please Scorsese fans immensely. The highlight is the audio commentary from real-life former criminal Henry Hill. Warners has give us two audio commentaries alongside Goodfellas on disc one. The first, from Martin Scorsese, Nicholas Pileggi and Irvin Winkler, is a typical commentary from the cast/crew, commenting on how the film came to be, and also take us behind the scenes of the film. Each speaker is recorded separately, which means it’s a fairly incoherent commentary, and isn’t as entertaining as it could be. Different members of the cast make comments when their characters appear on screen, adding some depth to their performances and characters. The second audio commentary is dubbed the ‘Cop and Crook’ commentary, featuring the real Henry Hill and Ed McDonald (prosecutor who put Henry away). The two are recorded live, and discuss various aspects of the film, specifically just how true-to-life they actually are portrayed. While there are some flat spots, this is a fascinating listen, from a man who has lived the life we’ve all only ever seen in the cinema. Getting Made: The Making of GoodFellas (29:37) - Just about all the cast and crew come together to discuss the production of the film, including writer Nicholas Pileggi and director Marty Scorsese. It also takes the majority of the cast through their characters, briefly outlining how they found positions in the film; as all of them seem extremely pleased with their efforts. Everyone heaps praise on Marty Scorsese, who seems to be a real actor's director. This is a really enjoyable, detailed making-of. Fans of the film will be absolutely delighted. Oh, gangsters can have a bit of fun too... can't they? The Workaday Gangster (7:58) - The real Henry Hill comments on Goodfellas, as well as other members of the cast and crew add their thoughts on how the life of a mobster was portrayed in the film. Scorsese says that “they’re all about making the most amount of money with the least amount of effort.” Is he suggesting stock brokers are mobsters too? This is an interesting piece, if a little brief. Made Men: The GoodFellas Legacy (13:33) - Various filmmakers, including Richard Linklater (Before Sunset), Antoine Fuqua (Training Day) and Frank Darabont (The Shawshank Redemption) observe how influential Goodfellas has been, and also comment on how it fits into the traditional genre of the gangster film. This is a fantastic presentation of a host of interviews from directors that have the utmost respect for Scorsese and his films. Paper is Cheaper than Film (4:28) - Scorsese’s characteristic sketches on the side of the screenplay are placed over the final scenes in the film, originally developed from these tiny drawings. It’s interesting to see (visually) how far this film has come, from sketches in the margins of the screenplay, to exquisitely composed shots. All these featurettes are presented in 4:3 fullscreen, with Dolby Digital 2.0 sound and a host of subtitle languages available. The audio and video quality is very good, as old footage has clearly been through some restoration. Scorsese talks disturbingly fast, which is an easy testament to the pains of PAL speedup. To top off the extra features bundle is an original theatrical trailer, presented in 16:9 enhanced widescreen and Dolby Digital 5.1. Paulie chews his food very slowly. This is an outstanding film, truly one of the landmarks in modern American cinema. Warners has done a reasonably good job with their special edition, pulling together an excellent bunch of extras. The transfer is fine, without being outstanding. However the major film artefact right through De Niro’s face is something I would have thought they’d fix up quickly, but unfortunately not. Considering that we certainly aren’t going to see another re-release of this film in the near future, I’d happily recommend this DVD set to everyone in the mood for a classic.